More than 1,600 volunteers are contributing their time to deliver services on behalf of Worcestershire County Council. Volunteers in the county currently contribute approximately 104,000 hours of their time every year. Around 406 volunteers ensure that all the libraries across the county are well managed, 500 people provide lifts to those without transport, 634 volunteers maintain the countryside and lead health walks, and 40 volunteers preserve the county's history. Worcestershire County Council is supporting Volunteer Week this year which runs from June 1-7. Councillor Lucy Hodgson, Cabinet Member for Communities, said: "We have a great team of volunteers here in Worcestershire and they contribute so much for their local communities. "Worcestershire County Council is thankful to all those volunteers who dedicate their time and skills to improve the quality of life of people who live in and visit the County. "In addition to being beneficial to society, volunteering offers a number of personal benefits such as developing new friendships, boosting self-confidence and learning new skills. "I strongly encourage residents of all ages to volunteer in any way they wish to experience these benefits." An estimated £270 million Gross Value Added (GVA) was generated by the Volunteer and Community Service in Worcestershire in 2016. In the last year 406 volunteers have contributed 18,000 hours to ensure the smooth running of all the libraries in the county. These include 160 young people between the ages of 12-24 who supported the Summer Reading Challenge. Out of the 18,000 hours 5,510 were contributed by work experience volunteers, a further 1,500 by work experience volunteers with a learning disability, 579 more hours by vulnerable adult volunteers and 3,347 by young people. By providing 170,000 trips a year, 500 volunteers enable people to remain living independently, access the essential services they need, get to a wide range of medical appointments, and combat isolation and loneliness by getting them to clubs, social activities and visiting friends and family. 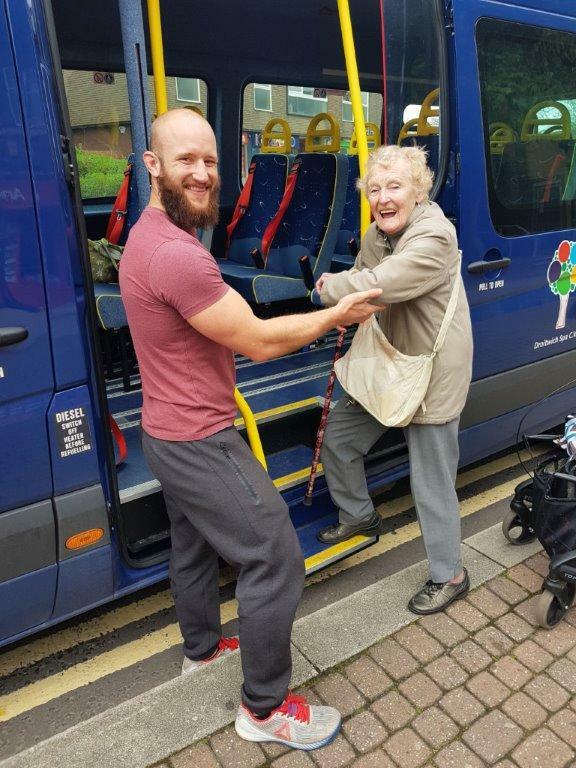 These volunteers provide journeys to those unable to use other forms of transport by using their own cars or driving accessible MPVs and minibuses. Volunteers also help in the office, take bookings and arrange trips. A total of 634 volunteers contribute more than 50,000 hours to ensure that the county's countryside is well maintained for residents and visitors to enjoy. These volunteers help local communities to create and/or maintain local greenspaces; enhance the environment by coppicing, hedge-laying, orchard restoration and willow weaving; conserve and enhance local trees; and lead health walks to promote fitness levels amongst residents. Worcestershire also relies on volunteers to contribute to the understanding and preservation of the county's history. 40 volunteers in the Archive & Archaeology service spend 3,000 hours a year in indexing archives; washing and marking finds from archaeological excavations; and researching projects.